Angela Joan Adkins, 91, of Chippewa Falls, died Wednesday, January 30, 2019 at The Classic at Hillcrest Greens in Altoona. Joan was born October 12, 1927 in Colton, South Dakota to Erling and Evelyn (Wang) Blom. She graduated from Eau Claire Senior High School in 1945 and went on to earn a teaching degree from St. Olaf College in Northfield, MN. It was while teaching Spanish and History in Rice Lake, WI that she met Frank C. Adkins, and they were married on June 14, 1953. Following their marriage, Frank and Joan moved around the midwest settling in Chippewa Falls in 1971. Joan was an intelligent, creative and loving woman. Her hand made Christmas ornaments adorn many a Christmas tree, and her family wears her beautiful hand knit sweaters proudly. Joan was active in her church and shared her musical talents throughout her life by writing and directing church programs, encouraging her children in their musical interests, and singing harmony along with family and friends, most recently during the music programs with her friends at The Classic. Joan is survived by three daughters, Laurie (Tom) Pfiffner of Lodi, Jane (John) Modjeski of Eau Claire, and Jill (Dan) Hietpas of Chippewa Falls; five grandchildren, Simon (Elizabeth) Pfiffner, Zachary (Katy) Pfiffner, Megan (Ben) Balgord, Kirk and Evie Hietpas; four great-grandchildren, Lucas and Emerson Pfiffner, Wesley Pfiffner, and Cora Balgord. 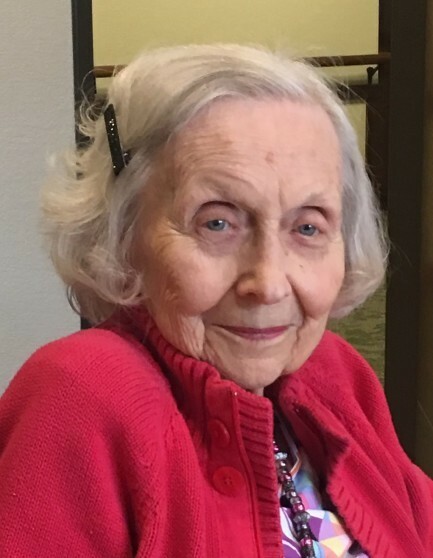 She is further survived by her sister-in-law, Nancy Blom, her aunt Ruth Blom, many nieces, nephews, and cousins, and special son-in-law, Sean Krill. Joan was preceded in death by her parents; husband, Frank; son, Guy; granddaughter, Ingrid Hietpas, and her brother, Burton. We take peace in knowing she is reunited with those she loved and is singing with a beautiful choir in her heavenly home. A celebration of Joan’s life will be held at 11:00 a.m., Friday, March 15, 2019 at Our Saviour’s Lutheran Church, Chippewa Falls with the Rev. Karen Behling officiating. A luncheon recognizing Joan’s Norwegian heritage will follow the service. A private burial with the family will be at Forest Hill Cemetery, Chippewa Falls at a later date. Visitation will be one hour prior to the service Friday at the church. In lieu of flowers, gifts in Joan’s Memory are appreciated and may be designated to: Mayo Clinic Hospice of Eau Claire, Our Saviour’s Lutheran Church in Chippewa Falls, or a charitable organization of your choice. Joan’s family would like to express their sincere gratitude to the caregivers and staff at The Classic at Hillcrest Greens, where she resided. They would also like to thank the Mayo Clinic Hospice staff for their compassion and care.